After my initial grieving process over the implications of the homosexual marriage legalization by a rouge Supreme Court, and after remembering all I have in Christ is eternally secure, I have tried to take a less emotional, but fully realistic, view of the future of Christianity. I have read so many thoughtful articles, blogposts, and Facebook posts by famous writers, and ones not so famous like me, covering the full spectrum of Christian reaction. Notice I said the future of Christianity, and not my country. I have been unable to spin a positive perspective for my country. It is almost the best we can hope for that inevitable, dark changes not come as quickly as possible. Coupled with a corresponding defeat of free speech in these days, I can’t prop up our political prospects no matter how hard I try. I’ve read where some have admonished fellow Christians for our misguided hopes in the political system. That is a fair point, for sure. The next great, super-conservative politician has never had even the slightest chance to be our Messiah and we should have known better. Some have also criticized our emphasis on pushing morals in politics and law as a subverting of the Gospel. While I agree that the Gospel must be kept prominent and clear, and morals stay in its place as the law of God and not the salvation of man, it is legitimate for Christians to use the means provided by the government they live under to speak for truth. When Israel was a theocracy, morals were critical in every detail of government. When she changed to a monarchy that was less the case. By New Testament days when she was a people subservient to Rome, God’s people had nothing to do with government. Besides “rendering unto Caesar”, Jesus and Paul almost ignored government. They suffered at its hands, but did not seek to change it. A full-blown anti-God government called for persevering in spite of it. As long as our government allows a voice, we should speak it. When that freedom evaporates, we just go on until the Lord topples that government as He did the Roman Empire. 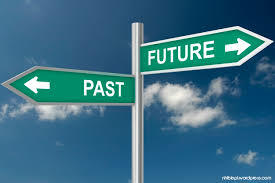 It is in those very New Testament days that we may find a roadmap for our future and how actually bright it might be. Greek culture was the dominant influence of the Roman Empire. Sexual immorality was rampant and broadly acceptable. Homosexuality was common, and though they saw no need of the charade of a marriage ceremony, it was considered normal and even “noble”. Especially when Paul went on his missionary journeys, he ran headlong into this culture. There were no Christian laws and no Christians in government to propose them. Christians had no voice, lacked freedom of speech (remember all those arrests in Acts), and suffered strong persecution (remember the lions). How did that go? It was in that very environment that the extraordinary events recorded in the Book of Acts took place. Quite frankly, they turned the world upside down for Jesus! The Gospel spread throughout the world. The more it was fought, the more it spread. That makes for quite awesome prospects. I’m still quite bummed about the future of my country, but the future of Christianity is none diminished. That is my hope today. I have been in funk since I heard the news that our Supreme Court made homosexual marriage legal in our country. I was even asking myself, why was I feeling this way? It really wasn’t a shock. I hoped for a different outcome, but in my gut I knew it would fall out the way it did. I have felt what so many other Christians have felt. How did 5 individuals without constitutional authority for such a decision inflict us so? Why is Congress so cowardly, our President so ungodly, and a majority of our Supreme Court so traitorous? There are waves of anger, followed by torrents of fear. Our society in leaving God’s natural order sets in motion the unraveling of society itself. Then there are rainbow lights at the White House, …, well, you know all about those things. There are arguments that love is all that matters. Funny, we don’t use that line in brutal crimes of passion. It seems all are going crazy. We can make a value judgment that homophobia is wrong, but we had better not say homosexuality itself is wrong. Morality all, with where we got it only being different. There is the Lord on the one hand, and man as lord on the other, but I digress. It came to me why I was so low. I was grieving. I grieved as one who heard of the death of one he loved. Even if you know the death is coming, you still have the pangs of grief. Did you catch it? It is not that legalizing homosexual marriage is going to bring great judgment from God, but it is the judgement from God that brings the full unraveling of that country. I know of no country in history that ever crossed that threshold and came back. I love this country of mine. The stars and stripes, the strains of our national anthem, the story of the founding fathers—these things still give me goosebumps. So I grieve today as I know the Word of God is always true. God just said to the USA that He gave us up! I will not, however, sink into my grief. I praise the Lord that the future of my country has no bearing on my Christianity. Christ lost no power when my country turned so grievously. His Kingdom is secure even if my country is not. Though the fall of my country may lead to persecution and pain, and that pain may affect my body, it can never touch my soul! I am still safe in Jesus! Never give up the promises of God. Stay faithful and close to Christ. Do not allow the sadness for your country impede your joy in Christ. Resolve to be true and firmly committed to God’s Word. 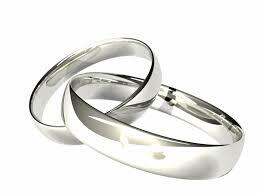 For example, there may be pressure on pastors to officiate homosexual weddings. I have thought this through including possible consequences, and I will NEVER, NEVER, NEVER, NEVER officiate a homosexual wedding. Christ is worthy of my faithfulness no matter what! Resolve to be true even if pressure comes from non-governmental sources. We are living in days of pressure to accept a bankrupt sexuality and a bombardment of words supporting it and some we love may come out as a homosexual. We must love unconditionally and ever demonstrate that love all the way without yielding ground on what God clearly said. If a loved one decided catching rattlesnakes by the tail or drinking poison was their calling in life, would you accept it? Or love them while holding the line that they should not do that? Share Christ with individual homosexuals, love them sincerely; again, while holding the line. Truth is always the most loving thing to share. Pray for personal and local revival as revival is not tied to the government even if it is as anti-God as is possible. Yes, I grieve, but my hope is secure. God bless. Looking for an up-to-date commentary on the Gospel of Luke? This latest offering in the Pillar New Testament Commentary series, edited by the venerable D. A. Carson, might be just what you are looking for. Mr. Edwards already contributed the well-received volume on Mark in this series, and this new volume has been eagerly anticipated. The Introduction is relatively short, but its strength lies in discussing things you read no where else. If you consult several commentaries, they can at times be painfully repetitive. He makes a strong statement on the Word of God in his first paragraph, which makes you feel in good hands. His section on the testimony we get from Early Christianity is fascinating. History is his special trait throughout the entire volume actually. I could not agree with him on sources. There is much speculation in such a discussion, and he does not just skip to the final form as some do now. Despite my disagreement on sources, the commentary sparkled with great, pertinent detail that really gave insight into the text. For example, there was plenty of material on the birth of Christ that would help anyone teaching or preaching. In fact, I found that true in every passage I studied in it. I call attention to his masterful handling of the Parable of the Prodigal Son. That was a joy to read and had profound spiritual insight as well. The Cross and the Resurrection were standout too. 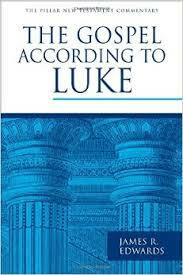 I will always consult this volume on any passage on Luke that I study going forward. 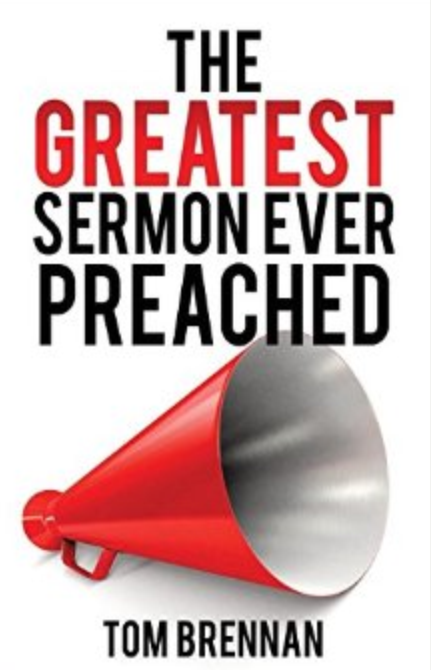 I predict pastors will love this volume just as I do. This is a winner! Well, they are quite the different weapons. With skill, the sword can be used for precision cuts. But with a club, all you can do is bludgeon. With a club you can forget precision too as the questions are only what is broken and how much blood is on the floor. As Christians we have a weapon and it is precise. Hebrews 4:12 says, “For the word of God is quick, and powerful and sharper than any two-edged sword, piercing even to the dividing asunder of soul and spirit, and of the joints and marrow, and is a discerner of the heart.” Now that is a weapon! So it is clear what the Sword of the Word of God is. But we have a problem. Some wielders of the sword confuse it for a club. They see it as a traditional weapon, which, of course, leads to death. This error raises its ugly head all through Christianity, and Independent Baptists have often followed suite. 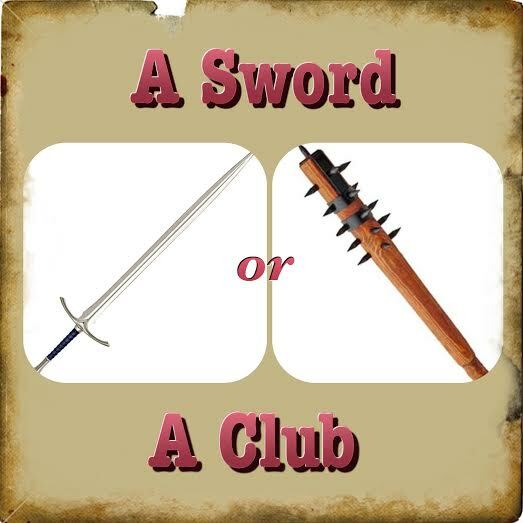 They are quite clumsy with a club, but who wouldn’t be if your club is actually a sword? There are a variety of damaging moves with the club. Some take God’s Word that is meant to bring life and take those abused by sin and abuse them more. Where God’s Word brings guilt to see our sin only to later remove both the sin and the guilt with its Gospel message, some explain the sin and bring on the guilt only to leave you broken and bleeding from its blow. Some then run from the Word for relief when only the Word can bring relief because some silly Christian soldier thought his sword was a club. All of this is not to say that God’s Word doesn’t convict or tell me what is wrong. It tells reality in a Holy God’s Universe. But when its precision cuts tell me what a rotten sinner I really am, the grace of God springing from the blood of Jesus Christ comes surging over me. Here is where club users go awry. I read that the legalist wants you punished. Apparently, the delirium that comes from club swinging makes one forget that Christ took the punishment. We proceed from there. The legalist wants you to pay where Christ has already paid it all. Lest our discussion get off track, let’s remember that is as true years after I’m saved as it was the day I got saved. If we get that messed up, we speed down the slippery slope. First thing you know, some club gladiator with a Bible in his hands tells some battered woman in the throes of physical abuse that she must stay and submit. Or next we’re told we can’t report a church member for molesting a child because we can’t our take brother to court. The Bible was referring to civil cases in that instance, but a club is not, as we said, an instrument of precision. None of that is “quick”, or life. It sounds like death to me. It may not be a bludgeoned skull, but it is a butchered heart and life. It is time to lay down our clubs. We are not even trained or called to use them. But let’s take the Sword of the Word of God into our hands as it is the answer for us all. 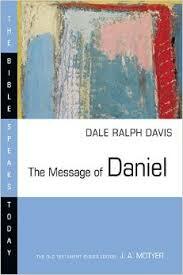 Here is a fine volume on Daniel by Dale Ralph Davis, who is simply one of the best writers today on any Old Testament historical portion, in the Bible Speaks Today series. Helpful in the ways usually found in this series, this volume is also particularly so for preachers. It delivers at a level we have come to expect from Mr. Davis too. The Introduction is short, but powerful in its easy repudiation of critical theories and dating. I would even call that section fun to read. I found myself agreeing with much of what he wrote. Since I have a different perspective than him on prophecy, I could not agree him on passages like, say, Daniel 9:25-27. Still, he was kind in presenting his amillennial case, and the other historical sections are well worth the price of the book. I would already label this my favorite from that prophetic viewpoint though I hold to a different one. The book is enriching and I highly recommend it. Here is a volume the New Studies In Biblical Theology (NSBT) series that tackles the theological hot-potato issue of repentance. Author Mark Boda strives to give us “a biblical theology of repentance” with this volume in the series edited by the well-known D.A. Carson. The most valuable feature of this book is the in-depth tracing of repentance in every part of Scripture. He divides the Old Testament in the Jewish way as he feels that is more sensible for following repentance through the Bible. He has strong convictions about the Word of God, which I appreciate. He feels the typical approach of viewing the subject through the definitions of the words involved is insufficient. Following that theory, he traces more of the big picture of repentance. Repentance is more in some parts of the Bible than others, but he succeeds in finding what degree repentance is there. He is thorough. 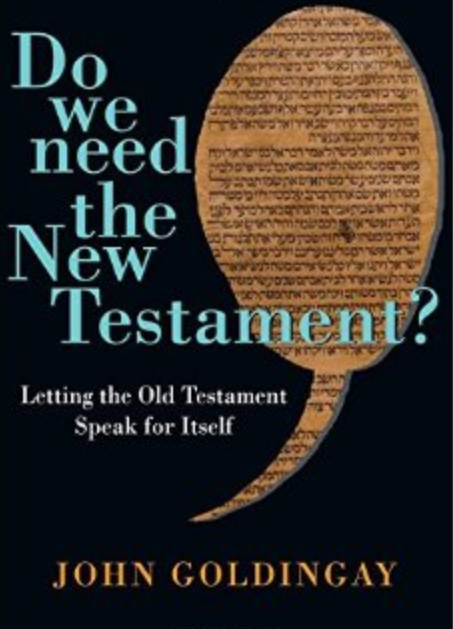 It was surprising that the book is 80% Old Testament, but perhaps that is only because the New Testament talks much less of it. I found it easy to agree with many things he said. It seemed a little much to say repentance was a big theme of John when the word is only mentioned once. Still, you felt in the hands of a capable scholar as you read. 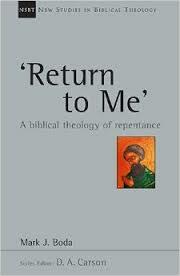 He references the theological battles involving repentance, but really does not address them. He seemed to want to lay the data out there so others could take it into the battle and think for themselves. I can not imagine anyone writing on this subject again without consulting this volume. For this volume set out to do, it succeeded all the way. Here is another fine volume in B & H Academic’s Perspectives series. 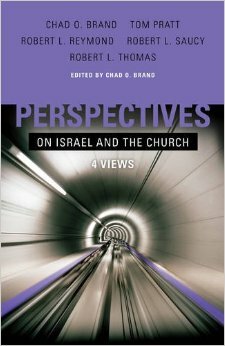 This volume tackles viewpoints on Israel and the Church, which means a debate between dispensational and covenantal thought. This volume, edited by Chad Brand, discusses the four most prominent views though there is even more variety out there. You will read on the traditional covenantal view (Robert Reymond), the traditional dispensational view (Robert L. Thomas), the progressive dispensational view (Robert Saucy), and the progressive covenantal view (Tom Pratt Jr.). The editor Chad Brand assists on the progressive covenantal view as well. All the authors are scholars and some have been well known in this subject for years. Each was fairly dogmatic, as you would expect in such a series. Only Mr. Reymond seemed to go too far in harshness. While I must disclose that I do not agree with his position, I even wonder if those who hold that position would think he had a good approach. He also used extreme examples like quoting John Hagee as if he were the best representative for dispensational thinking. All of the other three wrote more respectively and gave much food for thought. It seems issues on election, the Millennium, and other topics intersected strongly with this subject, but the authors did a good job only referencing the points that made sense to the Israel/ Church issue. This volume did not change my mind, but it did suggest points that I needed to think through. What more could you ask for in a series like this? I recommend it. There are pluses and minuses in this volume for sure. The author writes well, knows the scholarly issues out there, and can be quite thought provoking. His chapter on “The Costly Loss Of First Testament Spirituality”, for example, covered several trains on thought that I had never thought of, particularly on the Psalms and worship. There were also chapters, like chapter four on Grand and a Middle Narratives, that I simply could not get on with. Perhaps that says more about me as a reviewer than him as a writer–I am not sure. I imagine some will love this book and rate it highly, but for me it was marred by his suppositions that led him far afield. He has so little regard for the historicity of the Bible, thinks books like Jonah and Ruth must be fictional, and his claims of their abiding value are undermined by his view of dating. His ideas of memory may be a trendy, new scholarly view, but it seems bizarre to me. His last chapter fails completely in how it deals with Christology in the Old Testament, and I believe a majority of Christianity would think so. I will be curious to read future reviews. I will be curious, too, with his being such an influential scholar what will come of his discussion. He did at least succeed in making you feel he loved the Old Testament. You will have to check this one out and decide for yourself.